Retell the Story. Time with Dad can sometimes be scarce. 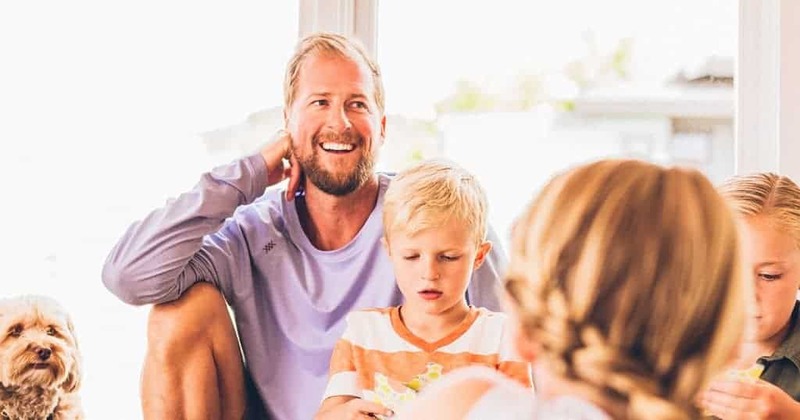 Rather than taking time to update Dad on the children’s grades for the previous week, consider allowing the kids to tell him their favorite lessons instead. By making this time conversational, Dad is kept up to speed on progress and the children get to share the high points of their week. Plan a Family Field Trip. Most field trips offered through a local co-op are available during school hours. If Dad is working during the day, prepare an activity that will accommodate evening hours or weekend visits. Grocery Store — Do your weekly shopping and compete in a product scavenger hunt by alphabetically searching for items you need. Movies or the Theater — Do a unit study on the history of film or the role theater has played in entertainment then attend a matinee performance. This is also a good lesson in economics and savings. To find family friendly movie reviews, see pluggedin.com. Public Parks — Stargazing is just one activity that could be enjoyed in the evening. Many of our State Parks hold stargazing events or weekend hikes that could easily be coupled with a unit study in astronomy or wildlife conservation. Teaching Time, Dad Style. Everyone likes a change of pace, including in the classroom. Identify a subject or concept that Dad is interested in teaching. By planning the lesson with him and gathering any necessary supplies ahead of time, you will play a vital part in the success of this unique opportunity for your children. Here are a few ideas. Construction — Build something like a bird feeder or dollhouse. Music — Learn to play a musical instrument. Home repair – Simple home repairs can prepare a child for adulthood. By incorporating Dad in your daily or weekly schedule, you will create a lasting impression for your children and allow him to be a fun part of the process.